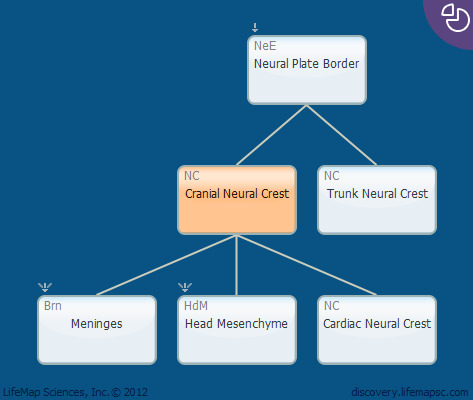 The cranial neural crest originates in the anterior part of the developing embryo, and resides between the mid-diencephalon and the forming hindbrain. During development, neural crest cells will be the first to follow epithelial-to-mesenchymal transition (EMT), emigrate and give rise to craniofacial structures of the vertebrate head (e.g., bones and cartilage). Like their counterparts in the trunk, these cells will also contribute to the developing peripheral nervous system, along with the pigmented cell (i.e., melanocytes) lineage.